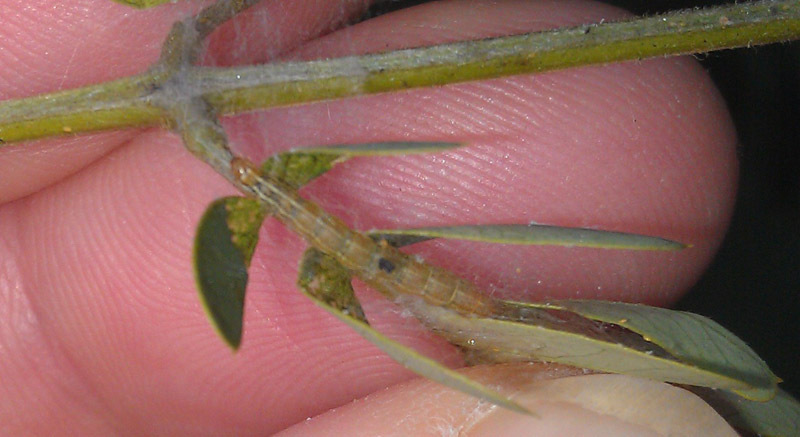 Mimosa webworms are active in Raleigh. I saw initial webbing this week. 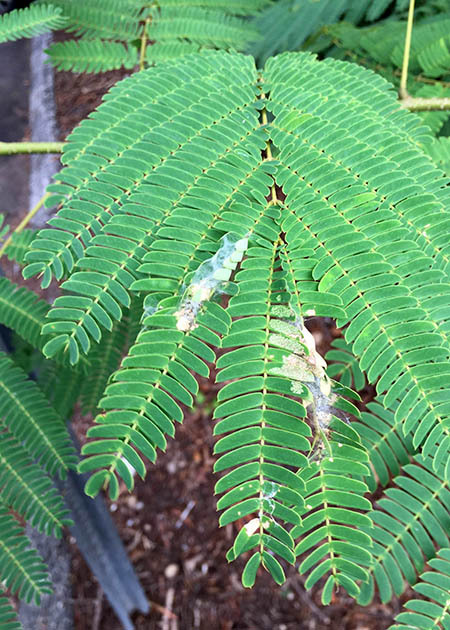 These are annual pests of mimosa trees which many people consider pests in their own right. However, if you are you of the many folks who love mimosa trees sans messy caterpillar webbing then it is time for action. The best way to prevent heavy infestations and extensive webbing is to prune out the nest when they are small. Moths overwinter as pupae attached to tree trunks, buildings, or other sheltered locations. The adults emerge in June or so to lay eggs on mimosa and honey locust trees. Caterpillars feed within the webbing for several weeks before pupating. There are multiple generations per year. Several fact sheets from Penn State, Purdue, Ohio State, and can provide detailed life history information. 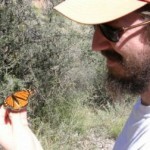 BugGuide has some great pictures of the adults which are rarely seen. Most insecticides available for caterpillar control will also control mimosa webworm but remember that contact is difficult since they live in waterproof webs. In most cases mimosa webworms will not reduce the health or growth of their rapidly growing hosts. They also don’t seem to eat all the seedlings that pop up all over my yard from the tree next door.